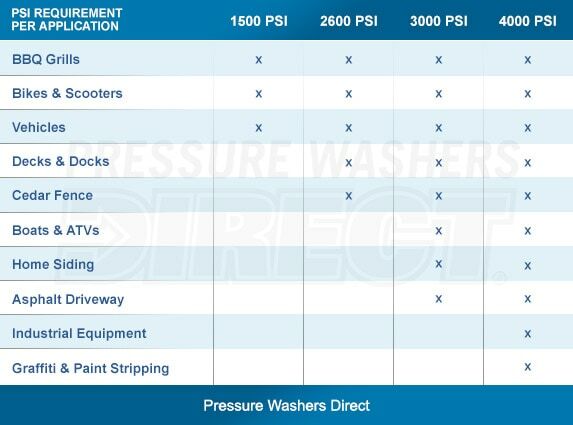 Pressure washer shoppers often ask how much pressure they really need from a pressure washer. The pressure put out by a power washer is measured in PSI (pounds per square inch), and the PSI requirements can vary based on what you're aiming to clean. For example, it'll take a lot less pressure to clean dust and salt from your vehicle than it will take to clean oil stains from your garage floor. Another factor that's equally as important, but not often considered, is the gallons per minute rating (GPM). 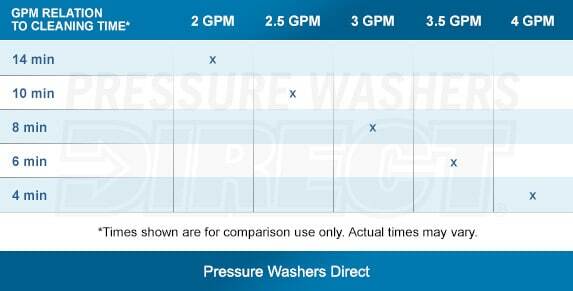 This measures how much water your pressure washer puts out per minute, and more water equals faster cleaning. How Much Pressure Does it Take? 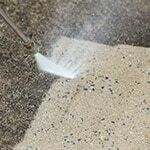 Learning how much pressure is required to successfully clean different surfaces, materials, or objects will help you determine what size pressure washer you would best benefit from. Remember, if you're never going to exceed 2500 PSI, then you can save some money by choosing a 2600 PSI pressure washer over a 3000 or 4000 PSI pressure washer. The added power might make you feel like a stud, but why pay for it if you'll never use it? Also, knowing what's required to complete different tasks will help ensure you select a power washer that's powerful enough for what you are cleaning. How Much Water Flow Does it Take? While water pressure provides the power to break up stains and settled in dirt, water volume is what flushes that broken up filth away. 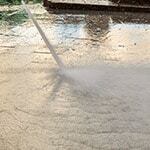 Essentially, the more water that moves through your nozzle in a minute, the faster you'll be able to clean. Greater GPM (gallons per minute) cleans quicker because there's more flowing water present to lift and carry away the dirt. Imagine shooting a squirt gun at a clump of dirt on your sidewalk. It'll break it up, but the dirt will still be there. Now pour a five-gallon bucket of water on that dirt, and it washes away. If you can combine the pressure of the gun with the volume of the bucket, you'll have a great cleaning tool. Pressure washers allow you to do just that, combine high pressure with high volume to clean surfaces in record time. So don't forget the GPM, because it plays a role that's equally as important to that of PSI. How Much Pressure Do You Need.. Our Power Equipment Direct how-to library can help you learn about Proposition 65 Product Labeling, Sales Tax Information and Product Recalls for Pressure Washer Equipment.